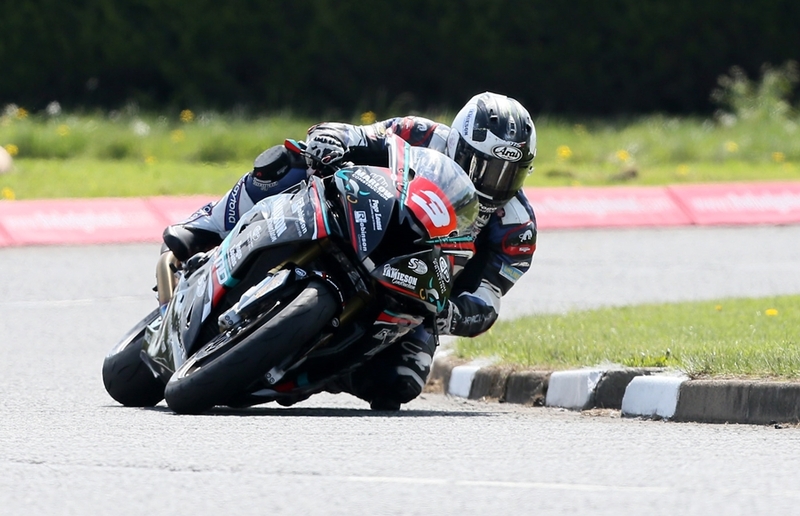 The international road racing season begins in earnest tomorrow, with the opening three races of this year’s North West 200. In recent times, the event has been beset with poor weather; however the sunshine has been unyielding along the scenic Causeway Coast, resulting in perfect conditions for racing. First held in 1929, the NW200 is a pure street circuit using the roads which link the seaside towns of Portrush and Portstewart with Coleraine. The track has a distinctive triangle shape consisting of two long, very high speed straights, connected by the sweeping road which hugs the spectacular Atlantic shoreline. The practice sessions on Tuesday illustrated how close and insanely fast the racing promises to be. In the superbike class, a number of riders broke the circuit speed trap at over 200 mph. Ian Hutchinson and Michael Dunlop shared the honour of setting the highest speed, as their respective BMW 1000RR machines cracked an astonishing 203.4mph. Dunlop also went on to set the fastest lap on his Hawk Racing BMW in the last seconds of the session. Alastair Seeley, who will endeavour to collect a 16th North West 200 win during the two race days, was second fastest. If he succeeds, Seeley will eclipse the record set by Michael’s father and road racing legend, Robert Dunlop. 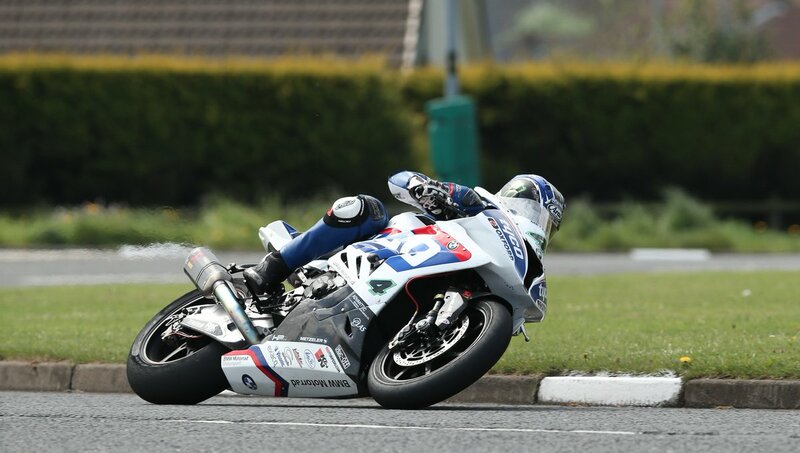 Hutchinson was only 3rd fastest, despite equaling the outright speed of Michael Dunlop. Veteran John McGuinness claimed the fourth fastest time on a Honda and the equally experienced Michael Rutter took another BMW to 5th overall. James Hillier was the fastest Kawasaki in sixth place on the Quattro Plant backed biked, closely followed by Peter Hickman on the JG Speedfit ZX10R. A duo of Hondas ridden by Conor Cummins and Bruce Anstey occupied 8th and 9th place on the time-sheets, meanwhile Lee Johnston battled through the pain barrier to round out the top ten on the East Coast Construction BMW. Supersport remains an Alastair Seeley specialism. The Wee Wizard was posted a fastest lap on the Gearlink Kawasaki that was significantly fastest than second quickest, Ian Hutchinson on the Team Traction Control Yamaha Martin Jessop was third aboard the Riders Triumph. Michael Rutter posted an unoffical lap record during superstock practice. Yet again, the familiar pairing of Seeley and Hutchinson were in close pursuit. yup, i'll be heading up thursday for evening practice, and early saturday morning for the main racing. it's an option to stream it if the weather forecast is bad, we all know there will be drama over racing or not, i had 2 grandstand and vip tickets bought a couple of years ago for myself and the son, and it was pouring down from the thursday afternoon and never let up. i lost big style, but watched the granny antics online. think there was one race. glad i didn't waste my time going. | yup, i'll be heading up thursday for evening practice, and early saturday morning for the main racing. Good idea, although my run up to the course is about 1mile! I'd be happy for a meet up somewhere near the course and take a spin round. No confusion, I work at sea and this year my leave has lined up for me to be here at the right time. Before that I lived in England for 7 years and couldn't get the time off. Can't get this year - hopefully live stream though!